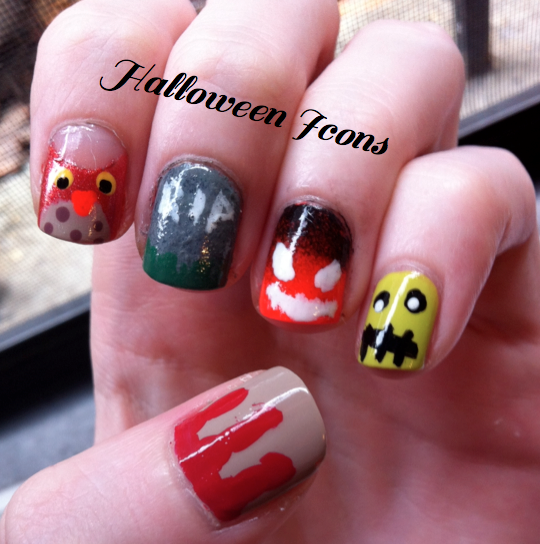 I love holiday themed nail art, and I especially love Halloween. Unfortunately, this October has been a bit too busy for me to come up with many ideas. Honestly, I can't even believe it's already the end of October! So here are some Halloween manicures that I did last year, in case you are in need of some fun nail art ideas for the 31st. 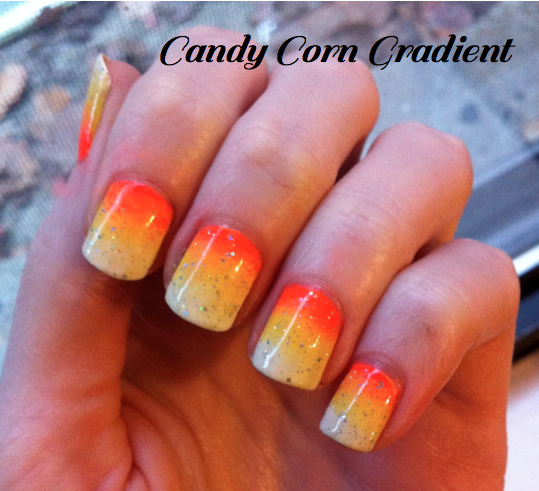 My favourite all time Halloween manicure would be this Candy Corn Gradient. My colours might not be in the official order, but that's what makes the blend so seamless. The perfect nod to the holiday. Here is the original post, complete with tutorial. 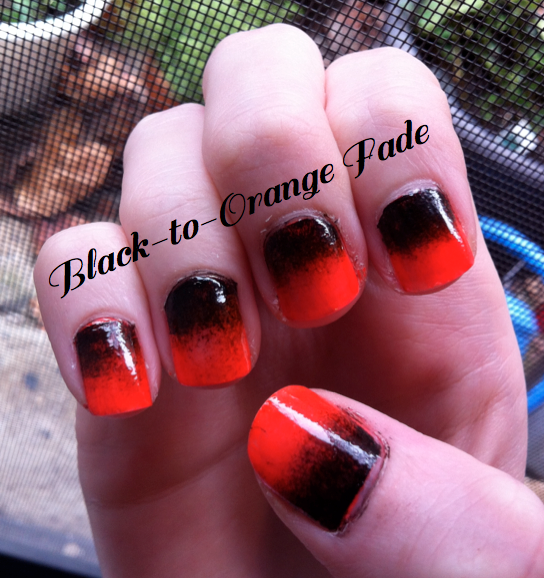 Another Halloween-themed gradient, but with a spookier colour combination. A simple design that packs quite the Halloween punch. The contrast is eye-catching. Original post here. There are so many cute monsters, creatures, and icons for Halloween, that I couldn't choose which to feature, so I did a random assortment. Create a mis-match of your own, do all five nails the same, or any other Halloween Icon combination. Original post here.